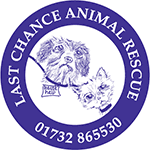 Last Chance Animal Rescue is pro-active in helping needy pets. We endeavour to offer our expertise of rescue and re-homing to as many pets as possible and take in dogs and cats for many different reasons and may well be able to help you. 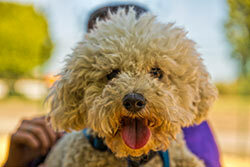 We understand there are times that you may need to find a new home for your dog, cat or rabbit. Unforeseen circumstances you were not expecting arise and suddenly your beloved pet is in need of a new home. It could be your finances have taken a down turn and you can no longer afford to care for your cat or dog. You may have a pet with an unplanned pregnancy or litter with which you cannot cope. Or you may have to move to accommodation that does not allow pets. Maybe a member of the family has developed an allergy or you have an illness preventing you from walking your dog or cleaning out your rabbit. Perhaps you have to move to a nursing home which doesn't allow pets. Or a relation has passed away leaving a beloved pet. For whatever reason if you need to find a home for your pet please contact us using the help request forms below and we will try to help you. Please do not advertise pets on social media or local papers etc. It could mean your pet might fall into the wrong hands. 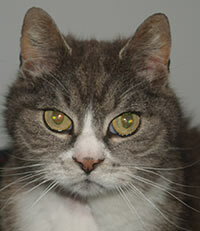 At Last Chance we are experienced at finding new loving homes. All new homes are individually home checked, and we offer full back up services including taking the pet back if for any reason the new home should not work out. Full details are on our adoption policy page. But in short we ensure all pets are inoculated, neutered, id chipped, health checked and leave us with 4 weeks free insurance. We operate a no destruct policy.